The funniest laugh out loud headline I read today was an AP (All Propaganda) article in the Arizona Daily Star: GOP leaders: No place for bigotry in the Republican Party. Are you effin’ kidding me?! The reporter Andrew Taylor should be fired for his stenographic reporting. The GOP first adopted the Southern strategy of appealing to racism against African-Americans with the Goldwater campaign in 1964, and used it to great success with Richard Nixon’s silent majority (a term I have seen revived on Trump campaign signs), contributing to a political realignment that saw white segregationist Southern voters shift allegiance from the Democratic Party to the Republican Party after the Civil Rights Act of 1964, and the Voting rights Act of 1965. 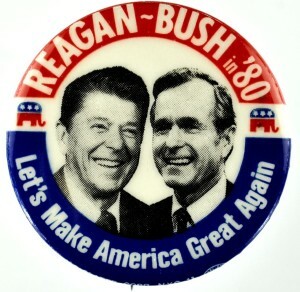 “Saint” Ronnie Reagan opened his 1980 general election campaign in Philadelphia, Mississippi where three civil rights workers — Michael Schwerner, James Chaney and Andrew Goodman — were murdered in 1964, with a ringing endorsement of “states’ rights.” By the way, the Lets’ Make America Great Again theme appropriated by Donald Trump was an integral part of Reagan’s 1980 campaign, a coded message to white racist voters, just as it is today. 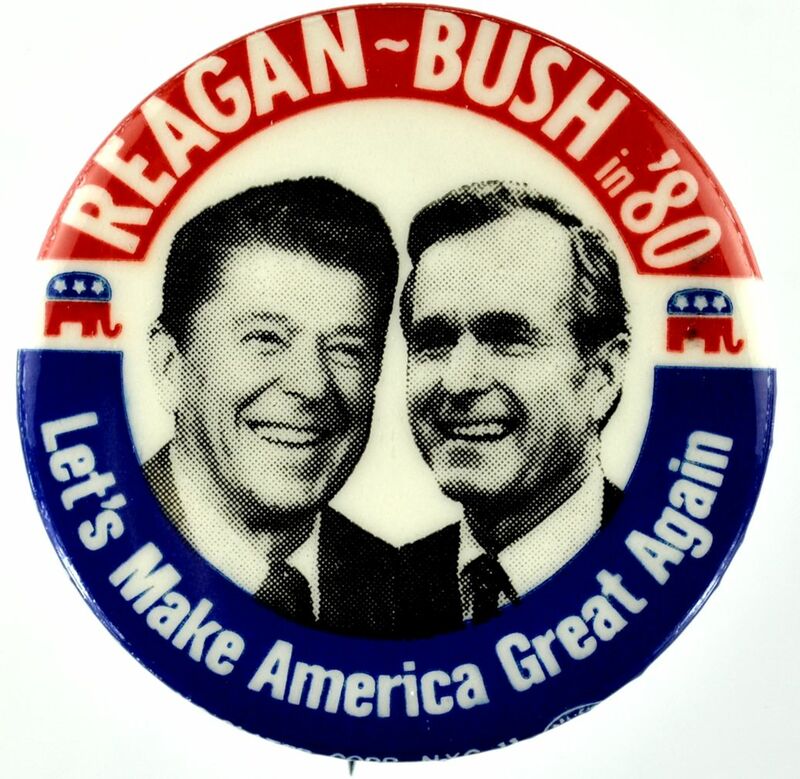 Donald Trump Claims Authorship of Legendary Reagan Slogan; Has Never Heard of Google. Republicans have been appealing to racial prejudice and bigotry as a formal campaign strategy since 1964. 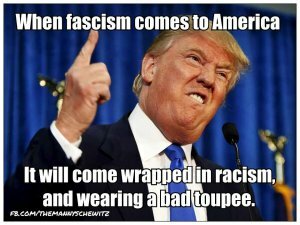 Donald Trump’s xenophobic racism towards Latinos and religious bigotry towards Muslims is simply using a well-worn campaign strategy that has, sadly, worked all too well for Republicans over the years. Trump is appealing to the darker instincts of the Mass Deportation Party, and is winning the racist, bigoted GOP base voters from among the larger GOP voter base that is being dispersed among a wide field of candidates. Trump is simply parroting a message to which these voters have been conditioned to be receptive by conservative hate talk radio and FAUX News for years. “Even as he rolled up commanding victories in seven states on Tuesday, Donald Trump confronted a loud and persistent refusal to rally around him as leading figures in his own party denounced his slow disavowal of white supremacists, elected officials boldly discouraged constituents from backing him, and lifelong Republicans declared that they would boycott the election if he is their nominee.” As Donald Trump Rolls Up Victories, the G.O.P. Split Widens to a Chasm. This idea that Donald Trump is engaged in a “hostile takeover” of the GOP or has hijacked the party is ludicrous. Trump is winning over a key voter constituency that the GOP has methodically nurtured for decades and fed their fears and prejudices with the conservative media entertainment complex. Trump is just a symptom of the disease. The disease of racism and bigotry has been festering in the GOP’s soul for decades. The day of reckoning has been a long time coming. The Beltway media villagers’ Boy Wonder, Marco Rubio Roboto, somehow managed to win the Minnesota Caucus, but otherwise badly underperformed on Tuesday, trailing Ted “Calgary” Cruz and even John Kasich in some places. 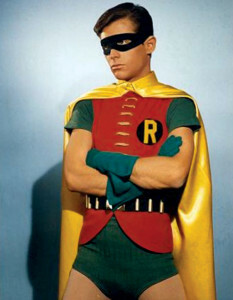 The Boy Wonder is clearly not the “GOP Savior” that the media villagers so badly tried to make him out to be. His win in Minnesota is enough to keep Rubio in the race until the Florida primary on March 15, a winner-take-all primary. If Trump beats him in his home state of Florida, it should be lights out for the Rubio campaign. His dream of a brokered convention because no candidate has enough delegates to win on the first ballot is just a wishful fantasy. The best option would be a Trump defeat in winner take-all states, starting with Florida, which holds 99 delegates. That means an all-hands-on-deck effort from #NeverTrump forces and from Team Rubio, which stands the best and only chance of dislodging Trump in the Sunshine State. However fruitless, that means pressuring Kasich to get out of the race, or convincing voters that a vote for Kasich there, just like in Virginia, would be a vote for Trump. Option two would be a concerted effort to get the race to the convention. Cruz would not play hard in Florida; Rubio would not play hard in states where Cruz has the upper hand. It is risky and would entail setting aside personal ego, something one has no reason to bank on. Frankly, it seems possible that Cruz is capable of dropping his holier-than-thou stance toward the “establishment” and broadening his appeal. 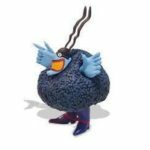 He remains his own worst enemy, unable to drop an unattractive persona and reconcile himself with those he has backstabbed, excoriated and ridiculed. A third option, which might require immediate action, is to begin planning for the worst, a Trump nomination. That means finding an alternative candidate who will not be kept off the ballot in states that prevent “sore losers” from mounting an independent bid, who has near universal name recognition and wide respect and who is quite willing to risk losing, or to attain the presidency only by throwing the election to the House. Among other problems, this option faces the challenge of lifting off without flat-out conceding the nomination to Trump. A fourth option — one that would unfold if the first three do not pan out or in concert with the third-candidate option– is to get on with the business of reformulating a center-right party. That means House and Senate candidates disavow Trump and the existing Republican National Committee. Leaders like Sen. Ben Sasse (R-Neb. ), House Speaker Paul Ryan (R-Wis.) and former senator Tom Coburn (R-Okla.) form an informal caucus under the banner of a center-right reform-minded party. They put all resources into saving the House and Senate and look to create the machinery around an agenda that Ryan and Sasse have already been championing (pro-growth, pro-reform, pro-national security, pro-middle and working-class). If any or all of these seems to result in the election of Hillary Clinton as the 45th president, it should be no surprise. The chances of beating her are small. What matters now is what Republicans with reverence for small-“d” democratic values, a commitment to inclusion and opportunity and willingness to put country above party do in such circumstances. The worst option would be to lose the presidency and one or both houses of Congress, and do nothing to create a successor to the GOP; the best option (without divine intervention, I suppose) is to create a center-right party that today’s Republicans can be proud of, devoid of nativists and Caesareans, and that embodies the values of humility, comity and empathy. You better get busy, lady. The clock is ticking and time is running out to qualify to get on the ballot. Previous article“Waiting for Warren!” Until she didn’t do what they wanted. I thought it was lets make deal with iran to hold our hostages to win the 1980 election. This is a freakin joke. Last week they tried to play the blame of Trump onto President Obama. Now this week they are saying that Trump is around because the Republicans did not get their extreme agenda through congress. These morons have no clue. There will never be a “center right” party. The Republican idea of “center right” is exactly what it is today, just without Trump.